Fresh from recent lectures in Oxford, Auckland, and Berlin, Ambassador Derek Shearer will deliver a public talk entitled “The Whole World Is Waching: Foreign Policy & the U.S. Presidential Election” at 12:30 p.m. this Tuesday, September 13, at the University of Georgia School of Law. Sponsoring the talk is Georgia Law’s Dean Rusk International Law Center; cosponsors are the World Affairs Council of Atlanta and the University of Georgia School of Public & International Affairs. 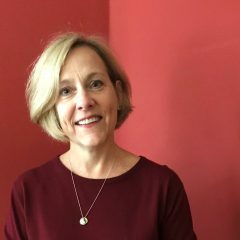 Shearer, whom I’ve long been privileged to call a colleague, is Chevalier Professor of Diplomacy and World Affairs at Occidental College in Los Angeles who served as an economics official in the U.S. Department of Commerce, and then as U.S. Ambassador to Finland from 1994 to 1997. He’s the author of several books and a frequent writer on and contributor to public policy discussions; his articles have appeared in The New York Times, Wall Street Journal, and International Herald Tribune. In addition to the talk, Shearer will speak to students in Election Law and Strategic Intelligence courses. We’re also very pleased to welcome Sue Toigo (left), Chairman of Fitzgibbon Toigo Associates and Shearer’s wife. She’ll discuss corporate responsibility with Georgia Law Business Ethics students. For additional details, e-mail ruskintlaw@uga.edu. THE HAGUE, Netherlands – International Criminal Justice Day isn’t till next Sunday, but The Hague is ready. Flags like the one depicted above greet visitors throughout city center. Occurring every July 17, the Day coincides with the signing in 1998 of the Rome Statute of the International Criminal Court – a landmark moment in the movement to call perpetrators of international crimes to account. The court began operating on July 1, 2002, and since then has examined, investigated, prosecuted, or adjudicated cases arising in nearly 19 countries, from Afghanistan to Ukraine. To mark this 18th anniversary of the Rome Diplomatic Conference, the ICC welcomes photos from around the world. The idea’s to create an image of the scales of justice and show its presence throughout the world by posting on social media with hashtags #JusticeMatters, #17July, and #ICC. Details here. Further to that effort, yours truly looks forward to today’s roundtable consultation on the draft Policy on Children, opened for public comment last month by the ICC’s Office of the Prosecutor. Honored to be part of the International Committee of the Red Cross launch of its new Commentary on the First Geneva Convention for the Amelioration of the Condition of the Wounded and Sick in the Field, a volume due for release next Tuesday, March 22. My role begins a week later, with a panel discussion of the new Commentary at 2 p.m. Wednesday, March 30, and will continue later in the year with an anticipated Georgia Law conference on the same subject (stay tuned). The March 30 panel discussion will take place in the Columbia Ballroom of the Hyatt Regency Washington on Capitol Hill, 400 New Jersey Ave N.W., Washington, D.C. That’s the same hotel hosting the annual meeting of the American Society of International Law from March 30 to April 2. This is a side event, though ASIL and its international humanitarian law interest group, the Lieber Society on the Law of Armed Conflict, are cosponsors of this event, hosted by the ICRC’s D.C.-based Regional Delegation for the US and Canada. This initial update carries particular significance because it contains commentary on Articles 1, 2, and 3 Common to all 4 Geneva Conventions. Common Article 2 and Common Article 3 have endured significant re-examination in the counterterrorism climate that’s prevailed since the attacks of September 11, 2001, readers of decisions such as Hamdan v. Rumsfeld and a plethora of academic literature well know (and as I’ve written here and elsewhere). RSVPs for March 30 welcome; for that and any other information on that event, contact Tracey Begley, trbegley@icrc.org. Set up as a roundtable rather than a traditional panel, the agora aims at providing an interactive platform for feminist and/or gender-related engagement with the past, present and future of international law within and without its recurrent crises. Full call for papers here. Deadline for submissions is Jan. 31, 2016. Why are we at Georgia Law celebrating the UN’s birthday? Because its 70-year tradition is our own. Our global tradition dates back at least 75 years, in fact. That’s when noted German-Jewish judge Sigmund Cohn, a refugee from Hitler’s Berlin and Mussolini’s Genoa, arrived at the University of Georgia and began teaching courses in international and comparative law. Around Washington, SPA personnel were called those UN boys with some derision, but this only inspired us to work harder. In the aftermath of global war a special atmosphere surrounded the United Nations. The human race had paid fifty million lives to draft that Charter. Our minds and hearts had been purged in the fires of a great war, and the UN Charter represented the best that was in us at the time. We had a talented group, bound together by a sense of commitment, an exhilaration rare in government, a feeling that somehow the human race was off to a fresh start. Eventually joining Rusk at Georgia Law was Louis B. Sohn, who came to Athens following mandatory retirement from Harvard Law. Like Cohn someone who suffered personally from the ravages of World War II, Sohn helped to draft the Charter of the United Nations. It was his effort in a lifelong career of working with the United Nations. Among many other roles, he served as chair of the conference that led to adoption of the UN Convention on the Law of the Sea. Our tradition is even richer, extending from these 3 to professors like Gabriel Wilner, himself a UN adviser, and including the international law service of my colleagues and me to this day. 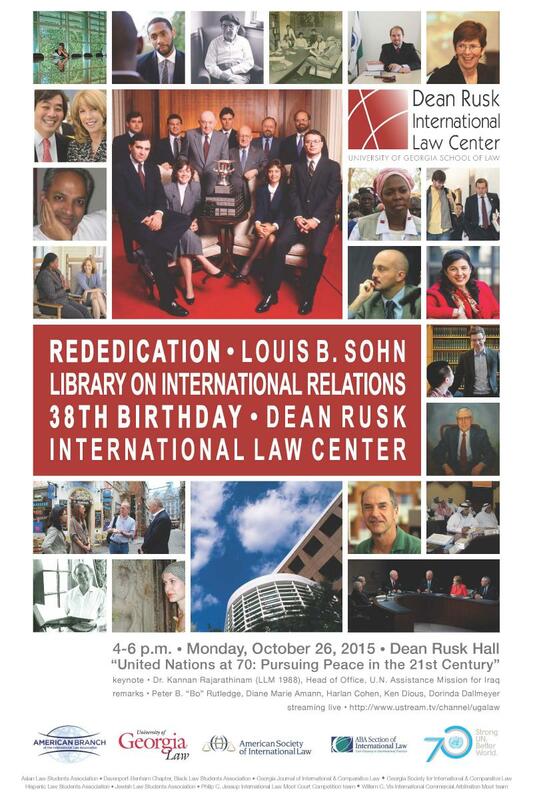 And so we will mark the UN’s 70th birthday this Monday, Oct. 26, by rededicating our Louis B. Sohn Library on International Relations and by celebrating the 38th birthday of our own Dean Rusk International Law Center. 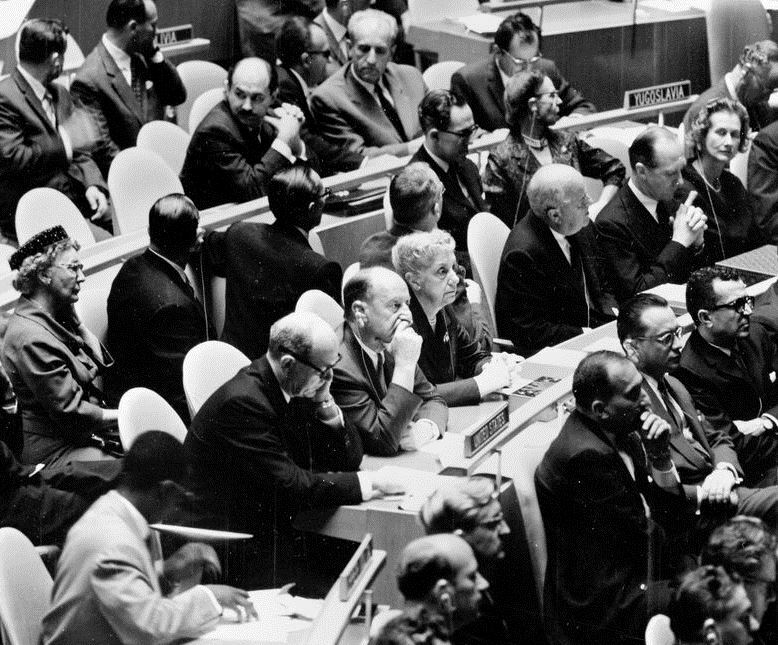 The UN Charter turns 70 this week, and we at Georgia Law are honored to be joining in the global celebration – not least because it’s also the 38th birthday of our Dean Rusk International Law Center. Also giving remarks – on Georgia Law luminaries like Professors Sohn, Professor and former U.S. Secretary of State Rusk, Professor Gabriel Wilner, and Professor Sigmund Cohn – will be Dean Peter B. “Bo” Rutledge, Professor Harlan Cohen, alums Dorinda Dallmeyer and Ken Dious, and myself. 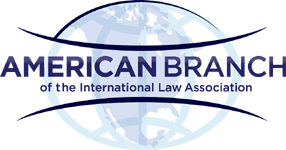 Our event is honored by multiple cosponsors: the American Bar Association Section of International Law, the American Branch of the International Law Association, and the American Society of International Law, for which Professor Sohn served, respectively, as Chair, Vice President, and President. Those titles signal the influ ence of Professor Sohn, who, inter alia, helped draft the UN Charter, advised UN agencies, and chaired the conference that led to conclusion of the UN Convention on the Law of the Sea. Sponsors among the Georgia Law community include the Alexander Campbell King Law Library, whose staff have contributed immensely to the move of Sohn’s 5,000-volume personal collection to its new space in our Center. Cosponsoring student organizations are the Asian Law Students Association, the Davenport-Benham Chapter of the Black Law Students Association, the Georgia Journal of International & Comparative Law, the Georgia Society for International & Comparative Law, the Hispanic Law Students Association, the Jewish Law Students Association, the Philip C. Jessup International Law Moot Court Competition team (that’s Georgia Law’s 1990 Jessup world champions in the poster at top), and the Willem C. Vis International Commercial Arbitration Moot team. Details here. If you are in our area on the day, please join us. If you can’t be there in person, feel free to watch the livestream.